DNA testing for ancestry. Cheap DNA testing. DNA testing labs. Home DNA tests can be ordered over the Internet. 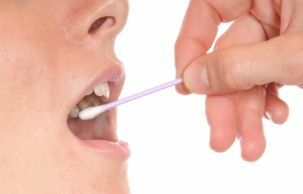 There are several DNA testing labs now selling online direct to consumers and they all make the purchasing of a DNA home test relatively straightforward and easy. But choosing a home DNA test is not quite as simple as selecting a book to take on holiday or downloading your favourite music so it's as well to educate yourself before you buy. If you haven't done so already, I suggest you read this site's Genealogy & DNA testing page and follow some of the links to get a basic understanding of the different types of test available. All DNA testing labs provide saliva kits  no blood required! The most popular home DNA tests are for Y-DNA analysis. When you order a home Y-DNA test you'll be asked how many markers you want analysed. Most people start off with a low-resolution test of 12 markers and wait to get a 'match' with someone on the database before paying for an upgrade to a higher-resolution test (21 or more markers) which should enable you to find out when your most recent common ancestor lived. If you want to trace your maternal line, mitochondrial DNA testing (mt-DNA) is the option you'll be needing. It's also known as a deep ancestry test. Your results will reveal which Haplogroup you belong to (see DNA Facts page). Surname DNA tests are the same as Y-DNA tests but are set up in groups. Find out more about DNA Surname Projects. What's involved in taking a home DNA test? On receipt of your order, the laboratory will send you a DNA testing kit. Different companies give them different names but they are pretty much made up of the same contents: instructions, swabs (one or a few), a container or bag in which to place your swab sample, and a return envelope. The procedure for taking your home DNA test is also pretty much the same. You simply rub the swab (which looks very like a 'cotton bud' such as those used for cleaning babies' ears) against the inside of your cheek. You roll the swab to ensure as much saliva as possible adheres to it. In so doing, the swab painlessly collects loose skin cells known as 'buccal cells'. Alternatively, you are asked to spit into a sealable tube. Either way, it's all over in seconds. You then put the swab(s) or tube into the container or bag provided, post it back to the DNA testing lab and await your results. Your laboratory usually provides detail of the process your swab(s) will go through from its arrival to DNA extraction to sequencing to final report. Your final report will give you a series of markers which, on their own, won't enlighten you much nor further your genealogy research. To make sense of the information you'll need comparison. Best advice is to buy your test through a company that offers a searchable database (see 'The main DNA testing labs' box in the right hand column). You can then explore the database to find matches and, if make contact with your matches, you'll be able to see where your genealogy paper trails may meet, or where further clues might be found. See the full menu of Genealogy & DNA Testing pages. From Home DNA Tests to Irish Genealogy Toolkit Home. How much your home DNA test costs depends on exactly what you order. If you're having a Y-DNA test, you'll pay according to how many markers you are having analysed. In May 2016, typical costs of DNA testing were around $100 and $150 for 12-marker and 37-marker y-dna tests respectively, and about $90/€120 for an autosomal test. Surname Projects often offer discounts on the laboratory's standard cost of DNA testing. There are now a good number of DNA testing labs around the world. Some of them don't have a database of results that you can check for 'matches', which rather defeats the point if you are hoping to extend your genealogical research. Among those that you might like to try are Family Tree DNA; Ancestry DNA, and Living DNA, which all offer home DNA tests.